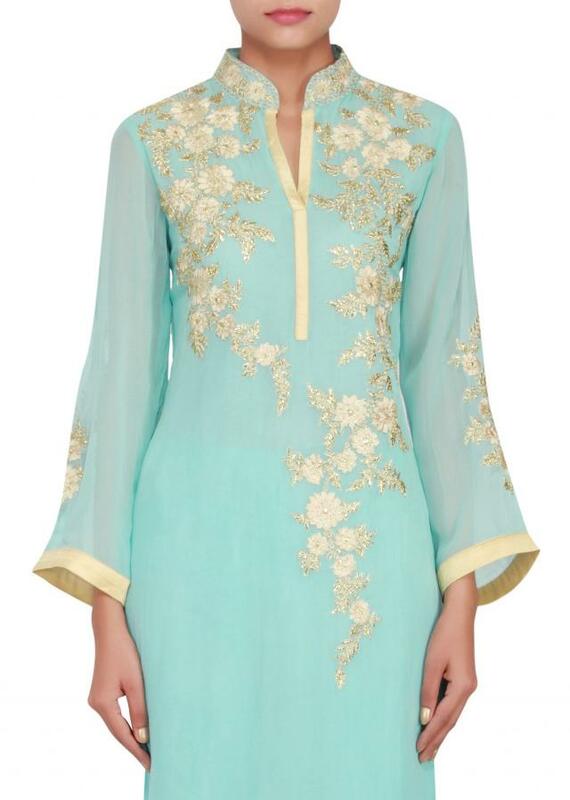 Featuring a sky blue georgette straight cut suit embellished in thread and zari. 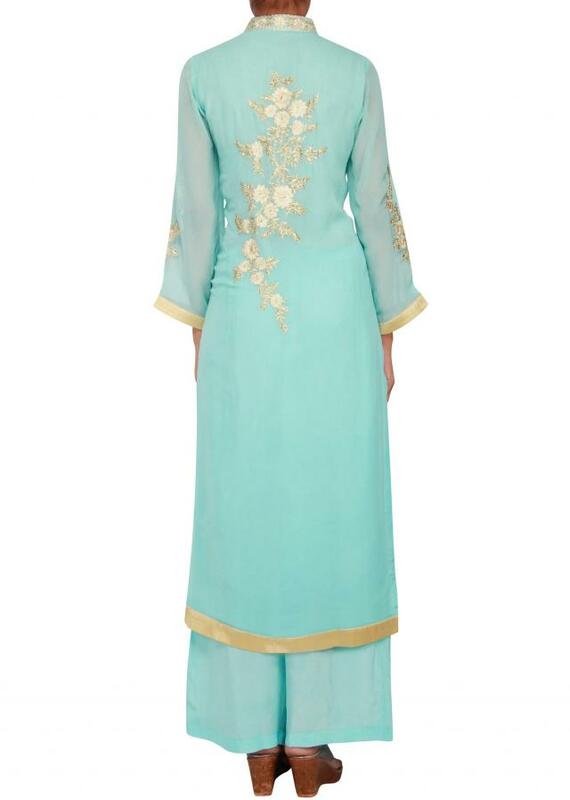 It has full sleeves with cream satin border. Neckline is open with embellished chinese collar. Placket enhanced in cream satin. 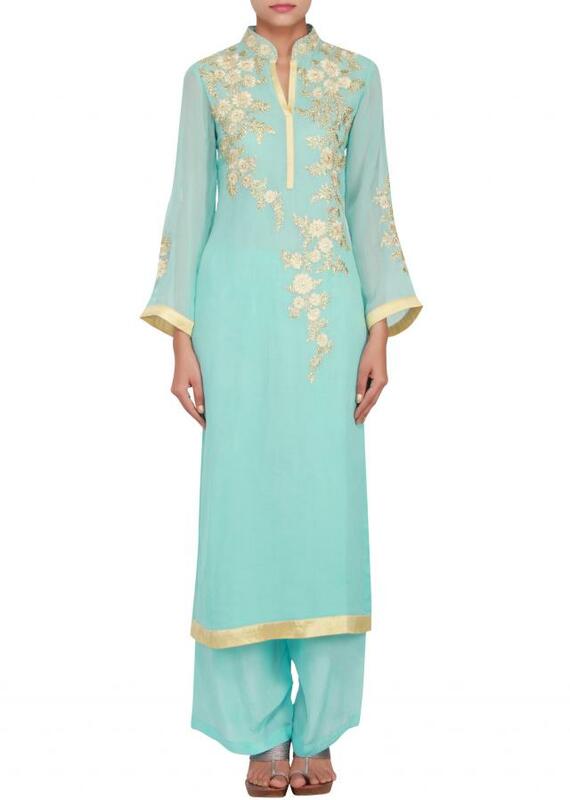 It comes with sky blue georgette silk palazzo pant.